Visiting Old Town Elementary School! 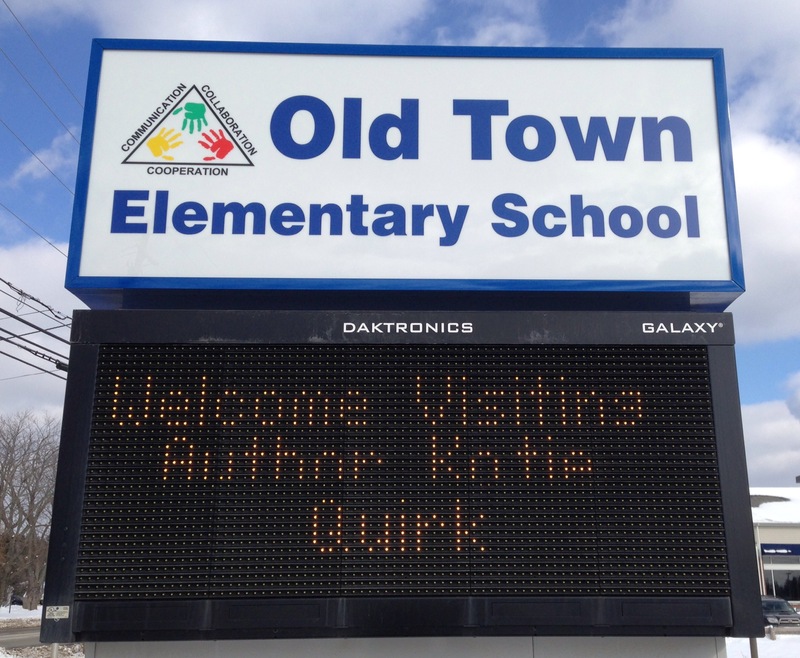 I had a wonderful time visiting Old Town Elementary School last week. They have a gorgeous school building, which has been divided up into intimate communities of small groups of classrooms with their own courtyard spaces. The 2nd graders have been studying the continents, and I jump-started their exploration of Africa by sharing photos from my time in Tanzania, telling a Sukuma folk tale, and looking at pictures of Tanzania from space. All of the fifth graders had read A Girl Called Problem as a read-aloud with their teachers, so we had a wonderful time talking about everything from siafu ants, to real-life experiences I had had in Tanzania that lead to the writing of the book. I met with about 100 fifth graders for over an hour, and we could have gone on for much longer. They asked fabulous questions! Thanks so much to Ms. Jackson, fifth-grade teacher extraordinaire, for organizing the visit! This entry was posted in A Girl Called Problem and tagged A Girl Called Problem, author visit, Maine author visit, Old Town Elementary. Bookmark the permalink.